Joe Nemechek picked up the 32nd last-place finish of his NASCAR Sprint Cup Series career in Saturday’s Irwin Tools Night Race at the Bristol Motor Speedway when his #87 Greer Roofing Toyota fell out with an engine failure after he completed 1 of the race’s 500 laps. The finish was Nemechek’s second of 2013 and his first since this year’s Daytona 500, twenty-three races ago. The finish also ties Nemechek with the late J.D. McDuffie for the most last-place finishes in Sprint Cup history. McDuffie has had sole possession of the record since September 7, 1980, when he scored his 20th finish at Richmond, Virginia. 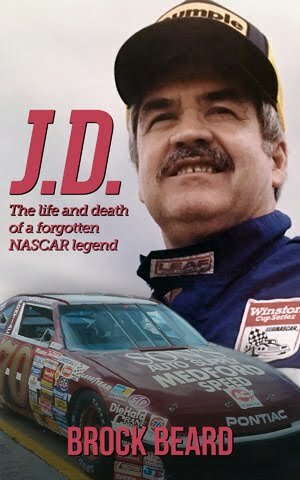 The Sanford, North Carolina driver scored his 32nd finish on August 11, 1991, the day he lost his life in a Lap 5 crash during the Budweiser at the Glen. The finish occurred in McDuffie’s 27th season on the Cup tour in his 653rd start. Nemechek’s 32nd finish came in his 639th Cup start in his 21st season. Nemechek and McDuffie share much more than a last-place record. Both are older owner-drivers in NASCAR who have fought against financial uncertainty and competitive disadvantages to remain in NASCAR’s top division. McDuffie’s challenges stemmed from the sport’s exploding popularity in the 1980s and 1990s as mainstream corporate sponsorship became a fixture in the garage area. 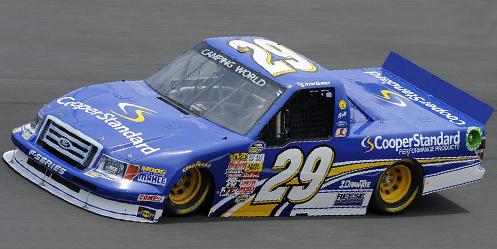 Nemechek’s struggles stemmed from the retreat of these sponsors in 2009, when he brought NEMCO Motorsports back to the Cup Series and had to resort to parking in a number of races to conserve his resources. When I interviewed Nemechek in 2010, it was clear the “start-and-park” subject was a touchy one, but also that he, like McDuffie, has done his best to put as much money as he could back into his team. In 2013, Nemechek’s work has started to pay off. 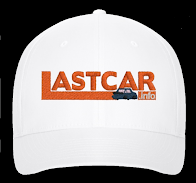 From 2009 through 2012, Nemechek has been the headline at LASTCAR seventeen times. 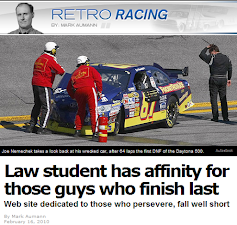 Today, the article you’re reading is just the second Nemechek feature of 2013. Since Daytona, Nemechek’s team has made all but one race this season (a DNQ at Kansas) and Nemechek himself has failed to finish just seven of his twenty-one starts. His best finish of the year has been a 25th at Loudon, scene of his first Cup Series victory in 1999. He’s also had primary sponsorship for all but seven races this season, and at Bristol, he welcomed new primary sponsor Greer Roofing. Nemechek qualified 37th for Saturday’s race at an average speed of 124.922 mph, the highest-ranked driver who made the field on Owner Points. Mike Bliss timed in 38th-fastest, but fell two hundredths short of making the Top 36, leaving the #19 Humphrey-Smith Racing Toyota with its second-straight DNQ. Unfortunately, at the start of the race, Nemechek fell to the rear with his car smoking heavily. He made it to pit road without bringing out the yellow flag, but the engine problem the crew diagnosed abruptly ended Nemechek’s race. Joining Nemechek in the Bottom Five was Ryan Truex, who in his Cup debut driving the #51 SeaWatch Chevrolet for Phoenix Racing swiped the wall at least twice before he brought out the first yellow for hitting the wall in Turn 3 on Lap 42. Michael McDowell’s #98 Ford carried sponsorship from the Victory Junction Camp, his third fully-sponsored run with a team in the last five races, but the engine on his car let go just before halfway. Brake problems sidelined Scott Speed and the #95 Leavine Family Racing Ford after 223 laps. Rounding out the Bottom Five was Carl Edwards, who led 119 of the race’s first 387 laps before he dropped a valve while leading on a restart, taking him out of the race. The illustration at the top of this article of J.D. McDuffie’s #70 L.C. 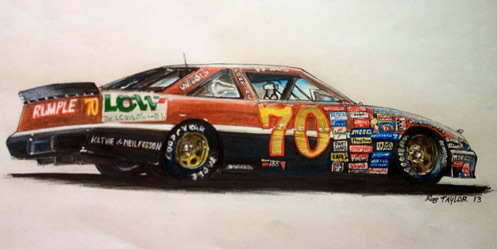 Whitford Racing Pontiac, the car he drove in his last race, was drawn by Robert Taylor, a motorsports artist from Niagra Falls. I had a great conversation with Robert by phone this week and will be writing a feature about him in September. As it happens, Robert offered to do a drawing of J.D.’s car after our call, a drawing which he completed just as Nemechek tied McDuffie’s record. 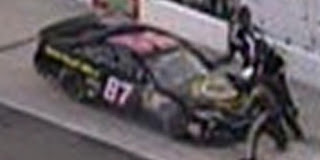 *This was the first Cup Series last-place finish at Bristol for both Nemechek and the #87 since 2010, when Joe’s #87 ComputerWorks Toyota broke a rear gear after he completed 30 laps of the Food City 500. *The single lap Nemechek completed is the fewest laps run by a Cup last-placer in Bristol since August 27, 1988, when Brad Noffsinger also completed just the first lap of the same event, then called the Busch 500, after his #98 Sunoco Buick was involved in a crash. It was Noffsinger’s first and only Cup Series last-place finish. Noffsinger’s car was owned by Mike Curb, who currently co-owns the #98 Phil Parsons Racing Ford driven by Michael McDowell. Josh Wise picked up the 2nd last-place finish of his NASCAR Nationwide Series career in Saturday’s Food City 250 at the Bristol Motor Speedway when his unsponsored #42 The Motorsports Group Chevrolet fell out with a vibration after he completed 4 of the race’s 250 laps. The finish was Wise’s first of the season and his first in a Nationwide Series race since another race at Bristol in the spring of 2012, fifty-two races ago, which also came in the #42. It’s also the first last-place finish of the year for The Motorsports Group, a team which has had at least one of its cars in the Bottom Five in twenty-one of the season’s twenty-three races, including the last fifteen in a row. The team had not finished last in a Cup race since last fall at Kansas, twenty-seven races ago, when Chase Miller fell out with ignition problems. Wise qualified 32nd at an average speed of 121.366 mph, ranking him seventh among the eighteen “go-or-go-home” drivers who attempted to qualify. A surprisingly-large entry list meant that eight of those eighteen drivers failed to qualify for the race, including two-time 2013 last-place finisher Joey Gase in the Jimmy Means-owned #52, Bristol spring race last-placer Michael McDowell in SR2 Motorsports’ #00, and July Daytona last-placer Morgan Shepherd. Wise pulled behind the wall during the opening green-flag run, followed a lap later by Chase Miller. Miller, often a teammate at The Motorsports Group, raced for TriStar Motorsports at Bristol in the #91, the new “start-and-park” team that ran part-time with Jeff Green in 2012. Green continued to race in place of the ailing Eric McClure on Friday, coming home a strong 16th in the #14 Hefty / Reynolds Wrap Toyota. Green’s #10 this time went to Cole Whitt, who brought with him sponsorship from Gold Bond Medicated Powder and finished 14th. Rounding out the Bottom Five were Wise’s teammate J.J. Yeley in the #46, Vision Racing’s Matt DiBenedetto in the #37 NationalCashLenders.com Dodge, and Drew Herring, who crashed in the Joe Gibbs-owned #18 Z-Line Designs Toyota and brought out the third caution of the night. *Curtis Key’s The Motorsports Group now has three last-place finishes in the last four Nationwide Series races at Bristol. Chase Miller finished last in the 2012 running of this race in TMG’s #46. Chris Jones picked up the 7th last-place finish of his NASCAR Camping World Truck Series career in Wednesday’s UNOH 200 at the Bristol Motor Speedway when his unsponsored #93 RSS Racing Chevrolet fell out with a vibration after he completed 20 of the race’s 200 laps. The finish was Jones’ second of 2013 and his first since Charlotte, eight races ago. He is not only tied for the lead in the 2013 LASTCAR Driver’s Championship with Johnny Chapman and Chris Lafferty, but also holds sole possession of fifth in the all-time LASTCAR Truck Series rankings. Jones qualified in the 36th and final spot for Wednesday’s race at an average speed of 121.236 mph. It would be Jones’ tenth start of the 2013 season, all but one having been in RSS’ #93, and just one week after his season-best 27th at Michigan. Missing the Bristol race were the star-crossed Mike Harmon and Jennifer Jo Cobb, who along with Joey Coulter and Brennan Newberry failed to complete a qualifying lap. Both drivers withdrew after separate incidents in practice: Cobb lost an engine while Harmon made contact with the outside wall. On Lap 4 of the race, last place went to Nate Monteith, who was making his first Truck Series start since the same Bristol race in 2009. Monteith’s #45 Evander Holyfield / Highway 126 Self Storage Toyota lost control off Turn 4, but avoided serious damage. However, by the time he pulled out of the race with handling woes, Jones had already parked the #93, giving Jones the last spot in the field. Rounding out the Bottom Five were Clay Greenfield, making just his fourth start of 2013 and his first since Kentucky, five races ago, Eldora standout Norm Benning in his #57 Chevrolet, and Jones’ teammate Ryan Sieg, whose #39 suffered an oil leak in the final laps of the race. *This is the first last-place finish for both Jones and the #93 in a Truck Series race at Bristol. J.J. Yeley picked up the 11th last-place finish of his NASCAR Sprint Cup Series career in Sunday’s Pure Michigan 400 at the Michigan International Speedway when his unsponsored #36 Tommy Baldwin Racing Chevrolet was involved in a two-car accident after he completed 12 of the race’s 200 laps. The finish was Yeley’s first of 2013 and his first in a Cup race since last July at New Hampshire, forty-one races ago, when his unsponsored #49 Robinson-Blakeney Racing Toyota fell out with engine trouble after 4 laps of the Lenox Industrial Tools 301. The Robinson-Blakeney Racing team, also known as America-Israel Racing, closed its doors soon after that New Hampshire race, and Yeley soon found himself at Tommy Baldwin Racing. For 2013, Yeley would take over for Dave Blaney in Baldwin’s #36 while Blaney would drive the team’s primary #7. The move paid immediate dividends in the Daytona 500, where Yeley came home 10th in the Golden Corral Chevrolet. Since then, however, Yeley has scored just one other finish better than 24th - a 13th in the Daytona 400-miler in July. Sponsorship problems began to rear their ugly head in late spring, and both cars have run a number of races without logos on their hoods. Yeley has run a dark orange #36 in each of his starts since Indianapolis while Blaney’s has been flat black nearly every race since Pocono in June. After Victor Gonzalez, Jr. struggled to a season-worst 41st-place finish in the #36 at Watkins Glen, Yeley again returned to the #36 for Michigan, scene of his only Cup pole in 2007. 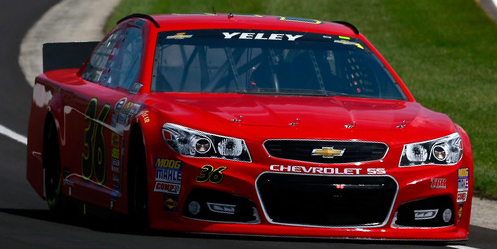 Yeley qualified 35th for Sunday’s race at an average speed of 197.012 mph. Missing the race was Scott Riggs in the #19 Humphrey-Smith Racing Toyota, a ride he took over while regular driver Mike Bliss was competing with the Nationwide Series at Mid-Ohio. It was the team’s first DNQ since Bliss missed the show at Indianapolis, three races ago. At the start of Sunday’s race, Jimmie Johnson fell to the rear of the field in a backup car following a crash late in Happy Hour on Saturday where Johnson nosed into the outside wall. Curiously, Johnson’s backup was the black Kobalt paint scheme in place of the blue Lowe’s car that crashed. Johnson moved through the field early and was quickly passed for 43rd by Clint Bowyer, who spun in Turn 3 on the opening lap. Bowyer avoided contact and rejoined the field for the restart, ultimately finishing 5th at race’s end. David Reutimann then brought out the second caution on Lap 9 when he tagged the outside wall in Turn 2. With significant damage to the right-rear of his #83, it appeared that Reutimann was headed to his second-consecutive last-place finish. However, the next green-flag run was equally short when Austin Dillon, driving in relief of Tony Stewart, slid into Yeley in Turn 3, sending both cars into the outside wall. Yeley received the most damage, and he joined Reutimann behind the wall. For much of the opening laps, Reutimann and Yeley remained tied for laps completed with twelve apiece. However, when Reutimann returned to the track, Yeley slipped to 43rd on Lap 49 and he remained there for the rest of the event. Dillon managed to come home 14th, nearly beating his season-best 11th at the same Michigan track in June. Finishing 42nd on Sunday was Johnny Sauter, who qualified the #98 Phil Parsons Racing Ford while regular driver Michael McDowell tied his career-best finish in the Nationwide Series with a 2nd in Mid-Ohio. One lap behind Sauter was Scott Speed, making his first Cup start since Daytona in July driving the #95 with the U.S. flag on the hood he raced in the Coca-Cola 600. Yeley, Sauter, and Speed were the only drivers who prevented Jimmie Johnson from scoring his first last-place finish in Cup. Johnson’s bad luck at Michigan continued when his backup car lost the engine after 54 laps, leaving him 40th. Rounding out the Bottom Five was Josh Wise, back in the #35 for the first time since McDowell drove his car at Watkins Glen. *This was the first last-place finish for the #36 in a Cup race at Michigan since June 21, 1992, when H.B. Bailey’s Almeda Auto Parts Pontiac broke a valve after he completed 8 laps of the Miller Genuine Draft 400. 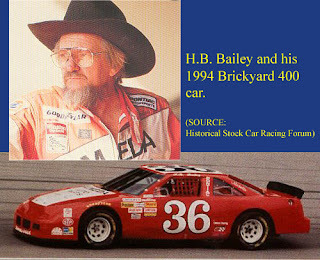 Bailey, an owner-driver who competed in Cup as far back as 1962, made the final two of his 85 starts the following year. In 1994, he attempted to make the field for the inaugural Brickyard 400, and was in fact the first NASCAR driver to take a qualifying time at the Indianapolis Motor Speedway. Then in 1997, at age sixty, he also attempted to make the inaugural Cup race at Texas Motor Speedway, his home track. Bailey passed away in 2003. *This was Yeley’s first last-place finish in a Cup race at Michigan since this race in 2011, when his #55 Front Row Motorsports Ford fell out with electrical problems. *This is the first time Chevrolet has swept both last-place finishes in the Cup races at Michigan since 2005, when the position went to Mike Wallace’s #4 Lucas Chevrolet after a Lap 50 engine failure in June and Kyle Busch’s #5 Kellogg’s Chevrolet after he overheated 81 laps into the August event. Blake Koch picked up the 3rd last-place finish of his NASCAR Nationwide Series career in Saturday’s inaugural Nationwide Children’s Hospital 200 at the Mid-Ohio Sports Car Course when his #00 VIP Poker Toyota fell out with a vibration after he completed 2 of the race’s 94 laps. 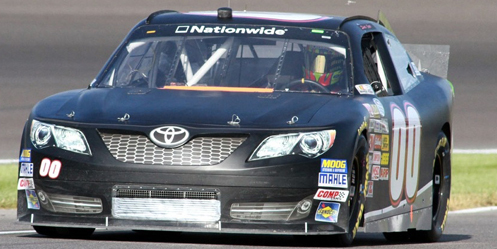 The finish was Koch’s second of the 2013 Nationwide Series season, his first since Dover, eleven races ago. Koch joins Joey Gase as the only other repeat last-place finishers this season other than leader Jeff Green. Since Dover, Koch has made two starts in SR2 Motorsports’ #24, finishing 22nd at Michigan and 27th at Chicagoland. His remaining six starts in that span have come in the team’s “start-and-park” #00, a car which failed to qualify at Daytona in July. Koch and the #00 have finished in the Bottom Five in all but one of those starts, a 34th at Kentucky. Koch secured the 40th and final starting spot with a speed of 91.027 mph. He edged T.J. Bell for the final spot by just over one tenth of a second, bumping Bell’s #42 The Motorsports Group Chevrolet along with new teammate and Richmond last-placer Dexter Stacey in TMG’s #46. Tim Cowen, whose #86 Ford failed to complete a qualifying run on Saturday, failed to qualify with Bell and Stacey. Koch pulled behind the wall during the opening green-flag run, beating Chase Miller by a single lap. Miller, who’s run most of the year for TMG, was taking a turn in the LASTCAR Nationwide Championship-leading #10 TriStar Motorsports Toyota, a car which still had the name of its primary driver - Jeff Green - above the windows. Green took over for Eric McClure in the fully-funded #14 Hefty / Reynolds Wrap Toyota and came home on the lead lap in 24th. Ryan Ellis, making his first Nationwide Series start since June 2012 at Road America in the #52 Jimmy Means Racing Chevrolet, fell out after 29 laps with brake trouble, followed six laps later by Osterund, Sweden native Alx Danielsson, who was making his NASCAR debut driving three-time LASTCAR Cup Champion Derrike Cope’s #73 Vaepe / Bactiguard Chevrolet. It was the Cope team’s first Nationwide start since Kentucky. Rounding out the Bottom Five was Reed Sorenson, whose #40 Swisher e-Cigarettes Chevrolet suffered its fourth engine failure in the last seven races. Finishing 2nd behind A.J. Allmendinger on Saturday was two-time and defending LASTCAR Cup Series Champion Michael McDowell, who had a career weekend at the track. Driving the #18 K-LOVE Toyota for Joe Gibbs Racing, McDowell won his first NASCAR pole since the Road America event in 2011, led eight laps, and equaled his career-best runner-up finish at Road America in 2012. *This was the first time that both Koch and the #00 have ever finished last in a Nationwide Series race on a road course. Ryan Blaney picked up the 1st last-place finish of his NASCAR Camping World Truck Series career in Saturday’s Michigan National Guard 200 at the Michigan International Speedway when his #29 Cooper Standard Performance Products Ford was involved in a two-truck crash on the opening lap of the 100-lap race. The finish came in Blaney’s 21st series start. Blaney, the son of NASCAR and World of Outlaws veteran Dave Blaney, joined the Truck Series last fall driving for that year’s NASCAR Sprint Cup Champion Brad Keselowski. He turned in a strong 6th-place finish in his debut at Bristol. Just two races later, he edged Ty Dillon for the win in the American Ethanol 200, making him the youngest winner in series history. 2013 is Blaney’s first full season on the tour, and the 19-year-old has continued to improve. He came into the Michigan race 3rd in points, 62 markers behind the leader Matt Crafton, and fresh off his second series win two weeks ago at Pocono. 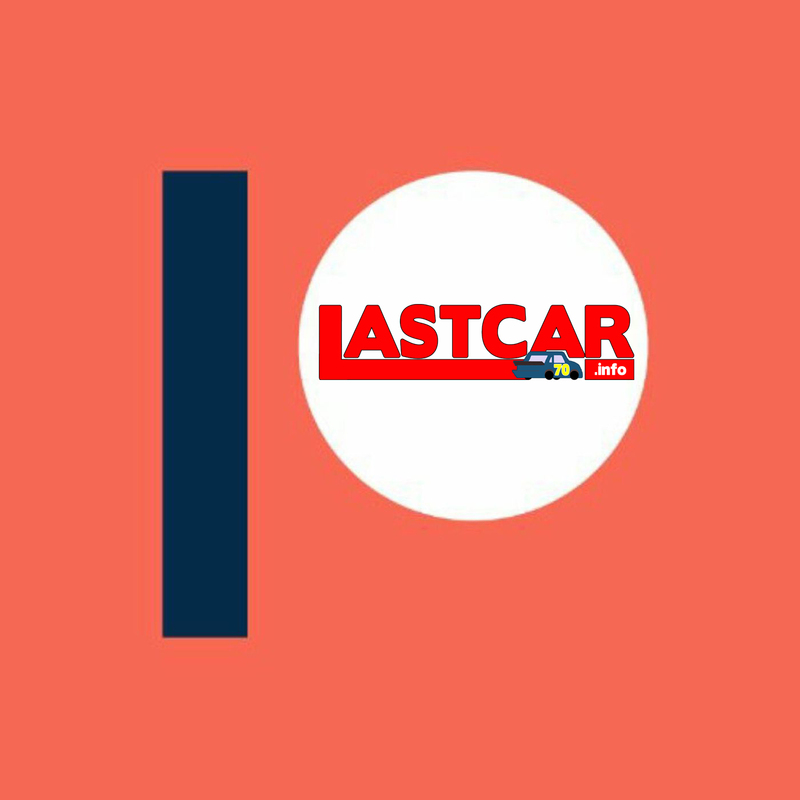 In this year’s first eleven races, Blaney had finished worse than 8th just four times, although two of those came in the two events leading into Pocono. At Michigan, Blaney qualified 19th at an average speed of 180.555 mph. With just 32 trucks attempting to qualify for 36 spots, everyone who showed up made the race. At the start of the race, Blaney was running the bottom off Turn 2 when Darrell Wallace, Jr. crossed his nose, causing Blaney to lose control. The #29 spun head-on into the inside wall, causing enough damage to end his day. Blaney was uninjured, but slipped from third to eighth in the series point standings, now 85 behind leader Matt Crafton. Todd Peck made his eighth Truck Series start of the season at Michigan and came home 31st, parking a second truck fielded by Norm Benning, who finished 22nd. Danny Efland pulled out one lap after Peck in the Mark Beaver-owned #50, ending his third start of the year and his first since Dover. Scott Riggs climbed aboard the two-time last-place finishing #38 RSS Racing entry and pulled behind the wall after seven laps, followed two circuits later by Jake Crum in the #81 that trailed the field at Pocono with Ricky Ehrgott. 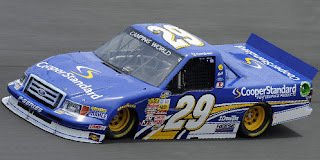 *This was the first last-place finish for the #29 in a Truck Series race since 2004, when Deborah Renshaw’s #29 K-Automotive Ford - owned by Brad Keselowski’s father Bob - was involved in a crash after she completed 38 laps of the O’Reilly 200 at Bristol. *Blaney is the first Truck Series driver to finish last without completing a lap since Blake Koch last September at Kentucky, who lost the transmission on his #0 Driven2Honor.org Ford. 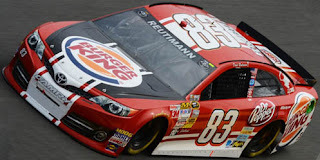 David Reutimann picked up the 3rd last-place finish of his NASCAR Sprint Cup Series career in Sunday’s Cheez-It 355 at the Glen at Watkins Glen International when his #83 Burger King / Dr. Pepper Toyota lost the engine after he completed 4 of the race’s 90 laps. The finish was Reutimann’s first of the year and his first in 205 races, dating back to his rookie season in 2007. The finish came on November 4 of that year when his other Burger King-sponsored Toyota, the #00 fielded by Michael Waltrip Racing, lost the engine after 90 laps of the Dickies 500 at Texas. Following his release from Michael Waltrip Racing after the 2011 season, Reutimann moved to the two-car BK Racing team that sprung up after Red Bull Racing closed its doors. Driving the #93, Reutimann finished 26th in the 2012 Daytona 500, then ceded the ride to Travis Kvapil for most of the year, save for a handful of starts in BK's third #73 team. The rest of that time, Reutimann drove for Tommy Baldwin Racing in the #10, a team designed to keep Danica Patrick’s Stewart-Haas Racing program in the now-defunct Top 35 in points. This done, Reutimann gave Xxxtreme Motorsports its Cup debut at Phoenix, then returned to BK Racing to replace Landon Cassill in BK's other team, #83, for 2013. This year, Reutimann improved to finish 16th in the Daytona 500, but he has not finished inside the Top Twenty ever since. Four DNFs in the first eleven races, combined with the equal struggles of teammate Travis Kvapil in the #93, have hampered the team’s progress. Kvapil was himself set for a solid run in the Daytona 500 before a last-lap crash left him 25th, and his season-best 18th-place finish in the night race at Daytona was followed by two wrecks caused by Danica Patrick at New Hampshire and Pocono. At Watkins Glen, scene of his terrifying flip in 2011, Reutimann qualified 36th at an average speed of 123.708 mph. Kvapil timed in 38th. Just 43 cars showed up to fill that many spots, so every driver in qualifying made the show. At the start of the race, last-place starter Brian Keselowski, making his Cup road race debut in his family-owned #52 Star Coach Race Tours Toyota, held onto the 43rd spot. The spot was then taken by road race ace Boris Said, whose #32 U.S. Chrome Ford suddenly slipped out of the Top 30 in the early laps. Then, on Lap 4, Reutimann’s car slowed entering the final two corners, then stopped at the entrance of Turn 6, bringing out the first yellow of the day. Engine failure was to blame, and Reutimann was done for the day. Four-time Watkins Glen winner Jeff Gordon brought out the next yellow when he suddenly lost control exiting the Esses on Lap 15 and tagged the outside wall. He remained in 42nd for much of the race while repairs were made. The next victim was defending LASTCAR Cup Champion Michael McDowell. With Phil Parsons Racing skipping the race, McDowell took a turn in the #35 Dockside Logistics Ford for Front Row Motorsports. He was 14th and 2nd in the two practice sessions and turned in a 12th-fastest driving qualifying time that was the fastest of a group that included Jeff Gordon and Kurt Busch. While running inside the Top 15 just before pit stops, McDowell broke a track bar, then cut down a tire, bringing out the next yellow on Lap 36. McDowell and Gordon returned to the track around the time that a four-car accident in The Esses took out Kvapil along with “road ringers” Ron Fellows (#33), Victor Gonzalez, Jr. (#36), and Tomy Drissi (#87). After the ensuing red flag, Kvapil, Gonzalez, and Drissi slipped down past Gordon and McDowell to join Reutimann at the bottom of the field. Keselowski, who spun in Turn 5 during both practice and qualifying, spun out again in Turn 6 on race day, then pulled behind the wall with brake trouble after 47 laps. His #52 rounded out the Bottom Five. Gordon finished 36th, his second-worst finish at this track (the worst being 37th in 2009). McDowell came home 38th. *This was the first last-place finish for the #83 BK Racing team since last June at Pocono when Landon Cassill’s #83 Burger King Real Fruit Smoothies Toyota was involved in a Lap 1 crash with Martin Truex, Jr. and A.J. Allmendinger during the Pocono 400 presented by #NASCAR. *Neither Reutimann nor the #83 had ever before finished last in a Cup Series race at Watkins Glen. *Toyota is now tied with Plymouth for the sixth-most last-place finishes in Cup Series history (107 each). Mike Wallace picked up the 3rd last-place finish of his NASCAR Nationwide Series career in Saturday’s Zippo 200 at the Glen at Watkins Glen International when his unsponsored #01 teamjdmotorsports.com Chevrolet was involved in a two-car crash and failed to complete a lap of the 82-lap race. The finish was Wallace’s first of 2013 and his first in a Nationwide race since the All Prop Bumper to Bumper 300 at Charlotte on October 7, 2000, 404 races ago. That day, Wallace’s #77 Lear Corporation / UAW Ford was involved in a twelve-car crash and fell out after he completed two laps. The race was won by Matt Kenseth. Jeff Green, the current LASTCAR leader, finished 4th in that race. It was the 21st of Green’s 25 top-five finishes en route to the 2000 NASCAR Nationwide Series title. Wallace, the middle racing brother of Rusty and Kenny, was making his 470th Nationwide start on Saturday. Since his series debut at Martinsville in 1990, he has competed in all three of NASCAR’s top divisions, scoring four wins in Nationwide and five in the Truck Series. A steady competitor at the plate tracks, Wallace scored his most recent NASCAR victory at Talladega in the fall of 2011 when, at the age of 52, he led teammate Ron Hornaday, Jr. across the line in the Coca-Cola 250. Wallace hasn’t competed in the Cup Series since 2009, when he ran a pair of races for Larry Gunselman. That same year, he joined JD Motorsports, a smaller team owned by Johnny Davis. Davis joined the Nationwide Series in 2002 with drivers Kertus Davis and Brad Teague. The single-car team expanded to two cars the following year, but has still struggled to find consistency. In 517 combined starts, Davis’ team has just seven Top Tens and one Top Five. 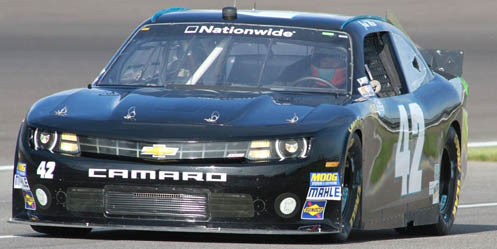 The top-five finish came with Wallace during the chaotic finish at Road America in 2011, where Wallace’s #01 Cowboys & Aliens Chevrolet finished fifth. In 2013, Wallace has continued to run Davis’ flagship #01 alongside a team car, #4, which has been driven by relative newcomers Landon Cassill, Danny Efland, and Darryl Harr. Coming into Watkins Glen, Wallace’s best finish of the year has been a 7th at Talladega. That race saw the #4 team’s best run of the year, a 17th despite a hard final-lap crash in the tri-oval. At Watkins Glen, Wallace qualified 23rd at an average speed of 119.104 mph. He would start alongside teammate Landon Cassill in the #4. Cassill went on to equal his season-best 17th during Saturday’s race at the Glen. Missing the start of Saturday’s race was Bayonne, France native Anthony Gandon, who was making his series debut in the #23 Qolix Ford fielded by R3 Motorsports and Rick Ware Racing. One of the few “road ringers” in the field, Gandon lost his primary car in a vicious practice crash and ended up driving a flat black-colored backup in the race. Since both he and Morgan Shepherd did not complete a lap in qualifying, Gandon may have missed the start so the team could finish preparing the car, although as of this writing, I do not have any information to confirm this. While Gandon’s team struggled, the green flag flew. Suddenly, 2nd-place driver Kyle Busch lost control entering the first corner, sending his #54 Monster Energy Toyota into the inside wall. The car didn’t suffer much damage until Wallace, who was attempting a three-wide pass in the corner, found himself unable to collide with Busch’s left-front. Both cars suffered extensive sheetmetal and suspension damage. While Busch was able to return to the track with Gandon, who finally made it on track around Lap 19, Wallace did not, and the #01 ended up in the 40th spot. During the ensuing caution, The Motorsports Group teammates Josh Wise (#42) and T.J. Bell (46) both pulled behind the wall along with 2013 LASTCAR leader Jeff Green in th #10 TriStar Motorsports Toyota. All three finished in positions 37th through 39th. Rounding out the Bottom Five was Blake Koch in the #00 Compassion Racing Toyota, the team’s fifth consecutive Bottom Five. 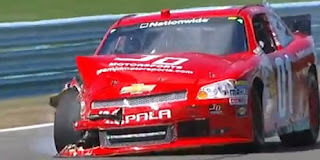 *This was the first last-place finish for both Wallace and the #01 in a Nationwide Series race at Watkins Glen. 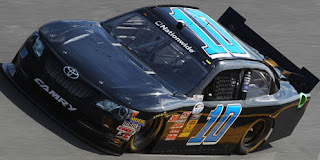 *This was the first time a Nationwide Series driver failed to complete a lap of a race at Watkins Glen since 2008, when Chris Cook’s turn in the #90 MSRP Motorsports Chevrolet ended due to suspension problems at the start of the Zippo 200 at the Glen. Denny Hamlin picked up the 5th last-place finish of his NASCAR Sprint Cup Series career in Sunday’s GoBowling.com 400 at the Pocono Raceway when his #11 FedEx Office Toyota was involved in a single-car crash after he completed 14 of the race’s 160 laps. The finish was Hamlin’s first of 2013 and his first in a Cup race since 2010, when he won the pole for the Emory Healthcare 500 at Atlanta, but lost the engine after he competed 143 laps. The 74 laps Hamlin led in that race were the second-most by any NASCAR Cup Series last-place finisher, trailing only the 95 led by Greg Biffle in the 2008 Dodge Challenger 500 at Darlington. 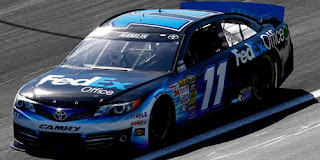 Since his first full Cup Series season in 2006, Hamlin has never once missed the Chase for the Sprint Cup Championship, and he has twice finished Top Three in the points. However, in 2013, he has endured what easily been the worst season of his career. He began the year with a 14th-place finish in the Daytona 500 followed by a hard-fought 3rd-place run at Phoenix. A scuffle with Joey Logano at Bristol left him 23rd, but he looked poised for victory the next week at Fontana. Unfortunately, he again tangled with Logano while battling for the lead on the final lap, resulting in a back injury that sidelined Hamlin for the next four races. Hamlin started to climb back into contention with an inspiring runner-up finish at Darlington, followed by a 4th-place run in the equally-grueling Coca-Cola 600 at Charlotte, but in the nine races since, he has finished inside the Top Ten just once - an 8th at Pocono. Mired well outside the Top Twenty in points heading back to the Tricky Triangle, Hamlin hoped for a good result at the track he swept as a rookie in 2006 and won two more times since. Hamlin qualified 9th for Sunday’s race at an average speed 179.144 mph. This allowed him to miss the chaos of a grinding first-lap crash in Turn 1 when Juan Pablo Montoya slid into Ricky Stenhouse, Jr., sending both cars into the outside wall. 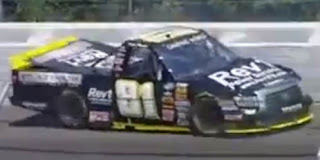 Matt Kenseth received some damage to his fender in the melee, as did Joe Nemechek, who ran through the grass to avoid the wreck. Stenhouse suffered the most severe damage, and for several laps, he remained in the 43rd spot. Then, on Lap 14, Hamlin’s ill-handling car suddenly broke loose entering Turn 3, sending his #11 hard into the outside wall. The car suffered significant damage to the right-front, nearly pulling the wheel underneath the car as it spun around. Although Hamlin was not injured in the wreck, the car turned out to be so badly damaged that it never returned to the track. Stenhouse returned to the track on Lap 48, then passed Hamlin for last on Lap 62. Finishing 42nd on Sunday was Alex Kennedy, who was making his first Cup start since Sonoma in the #19 Plinker Tactical Toyota fielded by Humphrey-Smith Racing. Kennedy complained of a severe vibration in the rear of the car that required several trips to the garage area before he finally pulled behind the wall. Radio communications indicated Kennedy would again be in the car next week at Watkins Glen. Josh Wise lost two laps early in the race, then ultimately fell out of the race along with Michael McDowell. Both didn’t fall into the Bottom Five until Lap 81, when the damaged Ricky Stenhouse, Jr. and Joe Nemechek finally passed them both. David Gilliland, one of at least four drivers to suffer a tire failure on Sunday, rounded out the Bottom Five after his hard crash on Lap 54. *This was Hamlin’s first-ever last-place finish in a Cup race at Pocono. Its just the fourth time he’s finished outside the Top 20 in sixteen career starts at the track. *Hamlin’s 9th-place start is the best starting spot by a Pocono last-place finisher in the Cup Series since July 29, 2001 when polesitter Todd Bodine led two laps of the Pennsylvania 500, then fell out with handling woes on his #66 K-Mart Blue Light Special Ford after 128 laps. *This was the first time the #11 has finished last in a Cup race at Pocono since June 8, 1986, when Darrell Waltrip also started 9th in the Miller High Life 500, only to lose the engine on his #11 Budweiser Chevrolet after seven laps. It was one of two last-place finishes Waltrip scored in his final season driving for Junior Johnson, the other coming at Richmond that September. The Pocono race was won by the late Tim Richmond, the first of seven wins he scored that year on the way to a career-best 3rd-place finish in points. Jeff Green picked up the 48th last-place finish of his NASCAR Nationwide Series career in Saturday’s U.S. Cellular 250 at the Iowa Speedway when his unsponsored #10 TriStar Motorsports Toyota fell out with a vibration after he completed 3 of the race’s 250 laps. The finish was Green’s tenth of 2013 and his second in a row. He now has twice as many last-place finishes in the series as second-ranked Jeff Fuller’s 24. It’s his 52nd across all three of NASCAR’s top divisions, fifteen more than second-ranked Joe Nemechek’s 37. With thirteen races to go in 2013, Green needs just three more last-place finishes to break the single-season record he set last year. Green qualified 29th for Saturday’s race at an average speed of 129.587 mph, ranking him third among the field’s ten “go-or-go-homers” behind 12th-place Kenny Wallace and 27th-place Joey Gase, who now trails Green by eight last-place finishes in the 2013 LASTCAR Nationwide Series standings. Green was the first car behind the wall, followed one lap later by Jason Bowles in The Motorsports Group’s #46. Blake Koch returned to SR2 Motorsports’ #00 for the first time since Loudon and came home 38th, giving the team its fifth bottom-five finish in the last seven races. T.J. Bell finished 37th in The Motorsports Group’s other “start-and-park” entry, #42, followed by Carl Long in the Rick Ware-prepared #15. *This was Green’s fifth last-place finish in a Nationwide Series race at Iowa and his fourth in a row in the August event, all four coming with different “start-and-park” teams for TriStar Motorsports. However, it is the first time he’s swept both Iowa last-place finishes in the same season. Ricky Ehrgott picked up the 1st last-place finish of his NASCAR Camping World Truck Series career in Saturday’s Pocono Mountains 125 at the Pocono Raceway when his #81 Platinum Wealth Partners / Rev1 Power Services Toyota was involved in a single-truck crash after he completed 2 of the race’s 54 laps. The finish came in Ehrgott’s series debut, the third time a Truck Series first-timer has finished last this season (joining Scott Saunders at Kansas and Jeff Babcock last week at Eldora). It’s the first time that two consecutive Truck Series races had last-place finishers who were making their series debuts since June of 2001, when the same thing happened to two owner-drivers: Gene Christensen’s #07 Racing For Kids Chevrolet had a vibration at Texas followed by an opening-lap fuel pump issue for Bobby Coffey’s #74 Bo-Co Performance Chevrolet at Memphis. 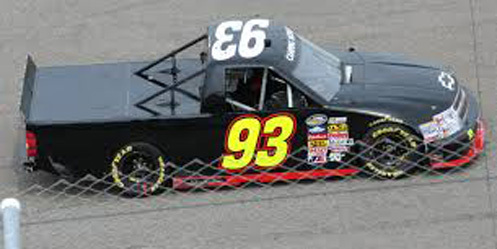 The 25-year-old Ehrgott made his Truck Series debut for longtime stock car racer and team owner Bobby Dotter. Since Dotter’s team debuted in the series in 2004, they’ve scored four Top Fives and 18 Top Tens in 212 starts. The team’s best finish was a pair of 3rd-place runs with David Starr at Indianapolis Raceway Park in 2011 and with Ross Chastain at Bristol last August. Starr remained with the team for the first part of this season, scoring their best runs of the year at Martinsville and Kansas, where the #81 came home 13th both times. In the four races since Kentucky, however, four different drivers have climbed behind the wheel, including Cup veteran Kenny Wallace, who gave the team its best qualifying run in seven years - a 4th at Eldora. Ehrgott was tabbed to run the truck in the next race at Pocono. Qualifying at Pocono was rained out, so Ehrgott secured the 26th starting spot based on practice speeds. With thirty-six trucks appearing for as many spots, including two added to the short field at the last minute, no one failed to qualify. Running near the back of the field at the start, his #81 suddenly washed up the track entering Turn 1, then lost control, switching ends before it smacked the outside wall with the driver’s side. Ehrgott was uninjured in the crash, and though he was able to get the truck rolling again, his day was done. Finishing next-to-last on Saturday was Tony Raines, who was making his first Truck Series start since 2004 when he drove Gene Christensen’s #08 1-800-4-A-Phone Chevrolet to a 17th-place finish. Raines climbed aboard the frequently-featured #38 RSS Racing Chevrolet and pulled out after three laps. Rounding out the Bottom Five were Chris Lafferty in Jennifer Jo Cobb’s second truck, #0, J.J. Yeley in the SS Green Light Racing #07, and Jo Cobb herself in the #10. *This was the first last-place finish for the #81 in a Truck Series race since June 29, 2002, when Owen Sound, Ontario driver Jason Thom’s #81 Ware Racing Enterprises Dodge suffered a vibration after three laps of the GNC Live Well 200 at Milwaukee. It was Thom’s sixth and final series start. *This was the first last-place finish for Toyota in a Truck Series race since last summer at Chicagoland, twenty-four races ago. That day, Johnny Chapman suffered a vibration on his #07 Wear Your Gear / bobber.info Toyota and fell out two laps into the American Ethanol 225.